The knock-on effect of Brexit is likely to see plenty of our older emigrants come home to roost early, along with a whole new tranche of British-born immigrants to boot. This is bound to put extra pressure on a property market that is already stretched. Given that 55pc of enquiries for properties being made from the UK are from those born in Ireland and based in Britain, they are the generation that likely left in the 80s recession and more latterly since the 2008 downturn. While most Irish emigrants were likely planning on coming home at some point, it looks like Brexit has pushed them into making that call. The older waves of returning emigrants are most likely to be in their 50s and will, generally speaking, do well with the sale of their British properties, given that the largest tranche is based in London and the south east. This area has experienced strong value growth since 2005 and prices, while slipping back somewhat recently, are high. Showing that the returnees are perhaps coming earlier than planned is the fact that one in five intends to live here and commute back and forth to Britain for work purposes. The higher number of enquiries than sales also likely reflects the fact that many have seen sales of their British properties fall through on the first attempt. 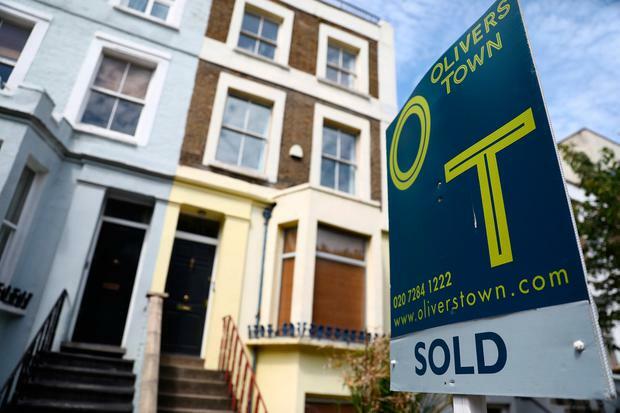 Fear is rife that a property market spill is coming to London and the south east, which, combined with an uncertain medium-term outlook for sterling, will also make the move back to Ireland that bit more urgent. Returnees who are moving to Dublin, Cork and Galway, will already have experienced an unpleasant surprise with property prices in these cities having surged back to 20pc to 30pc below the boom peak and rents are through the roof. For those who want to rehouse themselves in our big cities, it's a case of out of the frying pan and into the fire. But in rural areas, where the majority are headed, prices are still relatively affordable. By and large, the house buyers from the UK are looking at higher price brackets than the Irish. And then there is the question of the 28pc of enquiries coming from those who have no Irish connections. It shows Brexit is already having a real impact and that numerous employers do view relocation to Ireland as their only option.